Farmers in the Mekong Delta are unhappy to see vast ar-eas of land left uncultivated after they were zoned for industrial parks. With an aim of industrialising, Mekong provinces have been trying to restructure their economy by reducing the share of agriculture (in the economy) from 49.5 per cent in 2000 and 45.5 per cent in 2010. The figures reveal a slowdown in the tempo of economic restructuring in the 2000-2010 period compared with the previous decade. To achieve the industrialisation target, Mekong provinces and cities set up IPs to attract investments and boost industrial production, but, after several years of operation, vast areas in the IPs remain unoccupied. According to statistics from the Viet Nam Chamber of Commerce and Industry (VCCI)'s Can Tho office, the number of IPs and industrial complexes in the region rose from 111 measuring a total of 24,000ha in 2005 to 288 and 42,000ha now. An amazing 92 per cent of the space available in IPs and industrial parks in the Mekong Delta remain unleased. According to Vu Thanh Tu Anh, director of the Research Fulbright Economics Teaching Programme (Viet Nam), the development master plan for (IPs and industrial complexes in) the Mekong Delta has been stymied by provinces thinking only about their own interests. Mekong provinces have been planning new IPs and industrial parks despite higher infrastructure development costs compared with other regions in the country. "The new IPs cover vast areas of land, encroach on agricultural land, and affect the region's eco-system while contributing very little to the economy and creating few employment opportunities for locals," Anh was quoted by Nguoi Lao Dong (Labourer) newspaper as saying. In such a situation, districts in the region have been developing new industrial complexes in their localities, according to Dr Vo Tong Xuan, ex-rector of An Giang University. "These new IPs and industrial complexes have taken vast areas of land (previously cultivated by farmers) and left them uncultivated," he said. A small number of farmers who lost their land to IPs and industrial complexes were employed by firms in these IPs while most of the others have to seek other employment opportunities in big cities, he said. Anh added that while transport and agricultural projects face capital shortages, big sums of money have been invested in unoccupied IPs and industrial complexes. 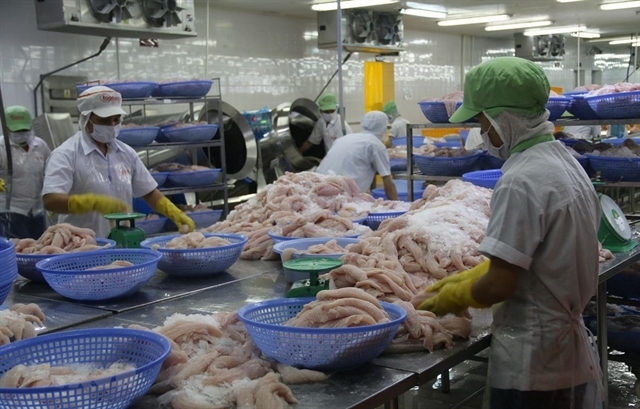 Though foreign investors have invested huge sums of money in IPs across the country, the newly developed IPs and industrial complexes in the Mekong Delta have failed to attract them. Vo Hung Dung, director of VCCI Can Tho, quoted diplomats from the consulates of Singapore, Thailand, Malaysia, Canada, and Japan as saying that investors from these countries know little about the Mekong Delta. What they have been informed about it is that it is a flood-prone region with an insufficient supply of quality human resources, he said. The delta currently accounts for only 2 per cent of total FDI coming into Viet Nam. The Ministry of Finance has been gathering suggestions from relevant agencies as it plans to draft two rules on financial management of Electricity of Viet Nam (EVN) and PetroVietnam (PVN), and has said the two State-owned groups will not be allowed to invest in sectors like property, banking, insurance, and securities or make any other form of financial investment. EVN and PVN have invested heavily in non-core sectors, PVN to the extent of VND5 trillion and EVN, VND1.1 trillion in businesses unrelated to their oil, gas, and energy industries. Under the draft rule targeted at PVN, the firm is not allowed to partner with, invest in, or buy shares in any of these sectors or make financial investments except with express approval from the Prime Minister. PVN is also required to restructure and divest all investments made in non-core businesses. Speaking at a conference to review PVN's operations in the first nine months of 2013 last October, its chairman, Phung Dinh Thuc, said the company plans to pull out VND5 trillion from non-core businesses including finance, insurance, banking, and real estate by 2015. But he said that with the economy still in turmoil, it would not be easy to divest at the moment. He said PVN has been trying hard to withdraw its investments in non-core sectors and would not set up any new subsidiaries in the coming time. PVN would focus on five major sectors – oil and gas exploration and drilling; petrochemicals; gas production; electricity, and hi-quality oil and gas services. All its subsidiaries are being restructured in accordance with this plan, Thuc said. Under the restructuring plan approved by the Government in January 2013, PVN will have to completely divest from Lai Vu Industrial Zone Co Ltd, Ocean Bank, Green Indochina Development Joint Stock Co, and PetroVietnam Trade Union Finance JSC before 2015. EVN will not be allowed to issue bonds for investing in stocks, banking, insurance, investment funds, real estate, or finance. Last December EVN pulled out VND252 billion from An Binh Bank (ABBank) by selling VND25.2 million shares to Ha Noi Export - Import JSC. It still holds over 76.8 million ABBank shares, equivalent to 16.02 per cent of the bank's capital. EVN had invested VND775 billion in the bank. Under a restructuring plan approved by the Government in November 2012, EVN will completely divest from ABBank as well as other non-core sectors by 2015 to focus on its electricity operations. EVN has investments in many other companies, including Global Insurance Company, EVN Finance, Sai Gon Vina, and Central Power Real Estate JSC. Mekong farmers who have shifted from sugarcane to mesona chinensis are unhappy because prices of the latter plant belonging to the mint family and used to make grass jelly have plummeted. Its price has fallen from VND30,000 per kilogramme in 2013 to VND7,000 last month. In early 2013, when sugarcane prices fell, farmers in Hiep Hung, Long Thanh, and Tan Phuoc Hung communes in Hau Giang Province's Phung Hiep District shifted to other crops, including mesona chinensis which was sold to Chinese traders. Dang Van Trieu of Hiep Hung said last year he had grown mesona chinensis on 3,000sq.m and made a profit of nearly VND150 million (US$7,100) from this farm produce, four times the amount from sugarcane. Le Van Dinh of Long Thanh said this year he has grown mesona chinensis on his 7,000sq.m sugarcane field, investing nearly VND50 million for each 1,000sq.m. Dinh is worried after hearing that prices of mesona chinensis have dropped sharply in the last two months. The official responsible for agricultural production at the Hiep Hung Commune People's Committee, Nguyen Trung Thoi, said Hiep Hung has 37ha under mesona chinensis but the area under this crop rose since farmers earned high profits from it last year. "But the situation has changed this year. Buyers have forced the prices of this crop down. In some cases, growers cannot even find buyers." Mesona chinensis is usually sold to Cambodia, Malaysia and China. Thoi said in January a Chinese trader asked to buy large volumes of mesona chinensis but then failed to buy.